We are proud to announce our most recent partnership and welcome Genting Resort Secret Garden in Chong Li, China. Considered by many to be the top ski area in China, Secret Garden is scheduled to host the 2021 FIS Freestyle Ski and Snowboard World Championships and will be host venue for the 2022 Bejing Olympics. The resort is currently undergoing an expansive investment in its infrastructure and guest experiences in preparation for those games. We have entered into a multi-year partnership with Secret Garden to work together to improve the resort’s guest experiences and bring Terrain Based Learning to the Chinese market. “The Chinese ski market is vast and dynamic. At Genting Resort Secret Garden we are looking to lead the way in shaping the future direction of snow sports in China. Our committed team of industry professionals is constantly searching for new innovative ways to deliver world-class experiences whilst catering to all the needs and wants of our guests. We are incredibly excited to be the first resort in China to be working with SNOW Operating and delivering a Terrain Based Learning product. 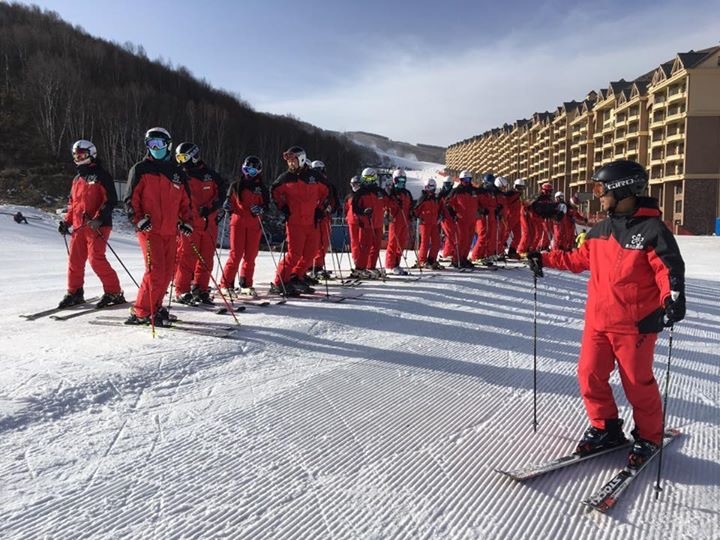 We believe this partnership will not only increase our retention rates, but start to promote a change in culture and the perception of skiing and snowboarding in China.” Said Freddie Bacon, Ski & Snowboard School Manager when asked about why they decided to partner with SNOW. The snow industry in China is still in its relative infancy, but exploding, with an estimated 12 Million annual skiers and snowboarders, and yearly growth topping more than 20%. Many resorts are looking towards the North American resorts as their models of excellence. “The team at Secret Garden is looking to revolutionize the way snow sports are taught in China. Moving away from the stagnate autocratic model and transitioning into a system which creates a better experience for both the instructors and their guests, but most importantly promotes the fun of the sports. We couldn’t be more honored to share in this journey with them.” Says Joe Hession, CEO of SNOW Operating.